It’s summer. I’m lazy. Or rather, I’m distracted. Here are some things that keep me occupied. My garden (sorry no pics – we had a massive near tornado here last night and it looks like “walk of shame” hair. Reading about my talented friend, Greta Bank, in Downeast Magazine. Listening to loads of podcasts, including my new favorites, RISK! and Stuff you Missed in History Class. 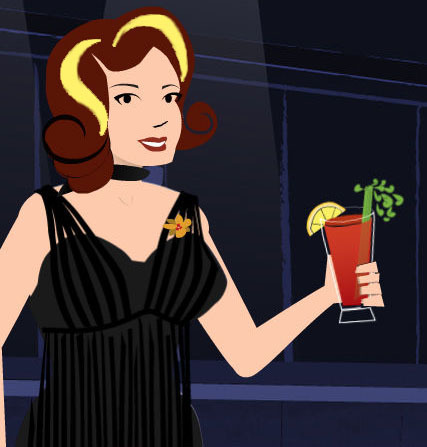 Getting super worked up about Madmen, and Madmen-ing myself in the meantime (mmm…bloody mary). Reading, reading, reading, reading. I’m especially taken with Steig Larsson. You may have heard of him? And of course, finding more vintage. Stay tuned for some amazing vintage menswear, and lots of good cold weather items. I find the best wools and velvets here in Maine. 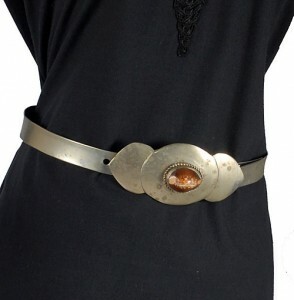 I am thrilled to have my vintage 70’s silver metal/conch belt (now on Etsy) mentioned in the Popfizzvintage Blog post about the 70’s Glam Trend for fall. Reese has a great eye, and I’m not just saying that because she featured on of my items. You are currently viewing the archives for July, 2010 at NorthStar Vintage.